There is more to a meal than just one dish or even one course! Because of the myriad of dishes and sides that can come with any given meal, we offer a wide selection of serving bowls that go right alongside many of our serving dishes and trays! From salads to soups to sauces and more, these bowls are handy to have around for a variety of reasons. Not only are they good for a variety of different dishes, but they also come in a variety of different styles! 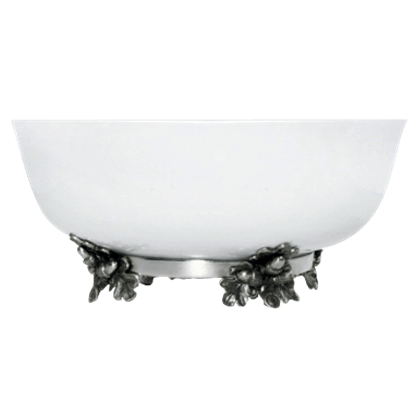 Our bowls are all made from the finest of materials as well, including pewter, glass, stoneware, and hardwood of different types. 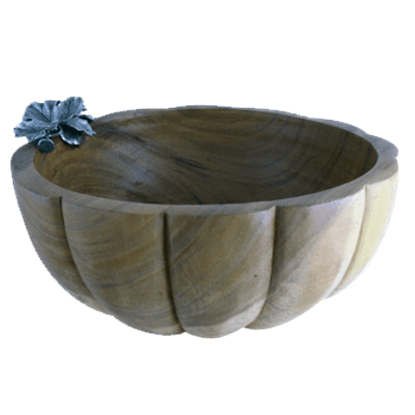 For the nature lover, we offer a variety of woodland themed serving bowls, including ones that feature oak leaves and acorns as decoration. A handful even feature a furry friend as decoration, adding a cute little squirrel to your table! Other bowls are inspired by autumn themes, featuring bowls shaped like carved pumpkins and gourds. We even have some under the sea themed serving bowls shaped like shells and accented with octopuses and other intriguing sea creatures! No matter the theme, no matter the dish, you can bet that we have the serving bowls you need to make your dinner complete. Just because something is small does not mean it cannot make a big statement about your excellent taste. 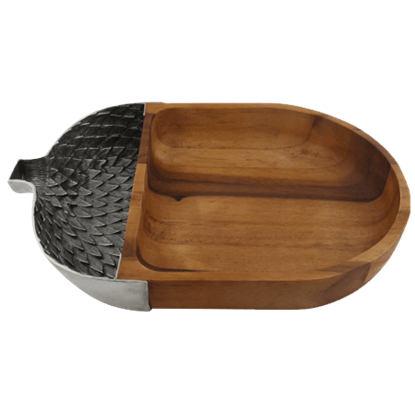 The Acorn and Oak Leaf Dip Bowl stands out on your table with its elegant style and quality construction. 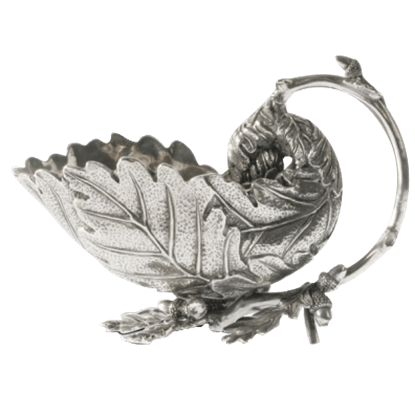 The Acorn and Oak Leaf Gravy Boat displays stunning artistry while serving as functional tableware. Even if you have no other natural or seasonal table decor, this gravy boat sets the tone for your formal dinner setting. 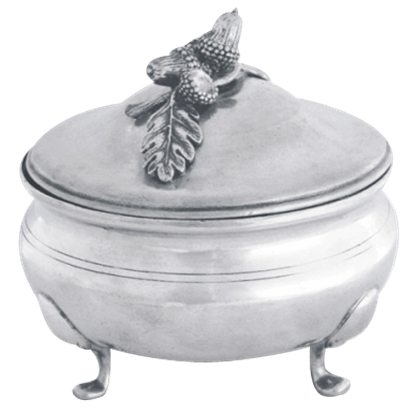 Inspired by tri-footed metal sauce bowls from the early twentieth century, the Acorn and Oak Leaf Sauce Bowl combines a charming appearance with practical function. This sauce bowl is sure to become an integral part of your table. The details of displaying and serving an elegant meal to your guests are almost as important as the food itself, which means you will have one less thing to worry about with the Acorn and Oak Leaf Stoneware Bowl on hand. 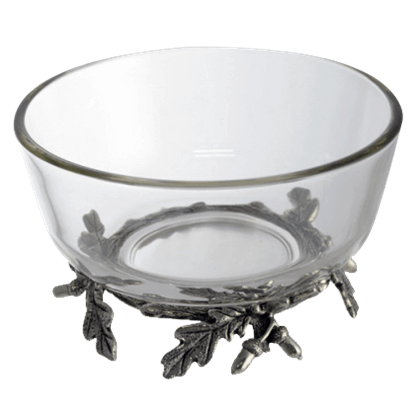 Do not go nuts looking for the perfect bowl for your next gathering because we have it here with the Acorn Chip and Dip Bowl. 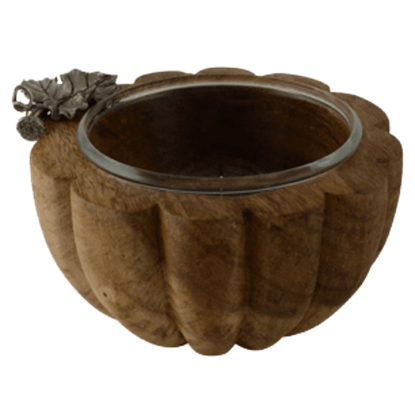 Shaped like an acorn, this wooden bowl makes a great receptacle for snacks like chips and dip. 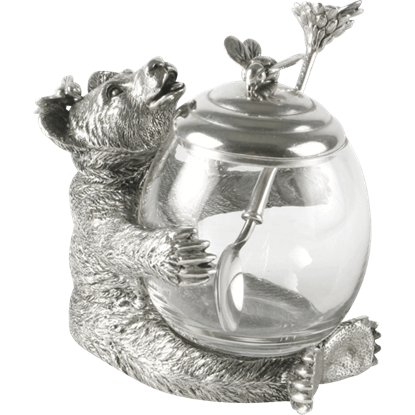 Sure to bring a smile to your table, the Bear Honey Pot displays a pewter bear that is dazzled with delight at the treasure of honey he has found, showing an expression of pure joy. This glass honey pot makes a stunning server. 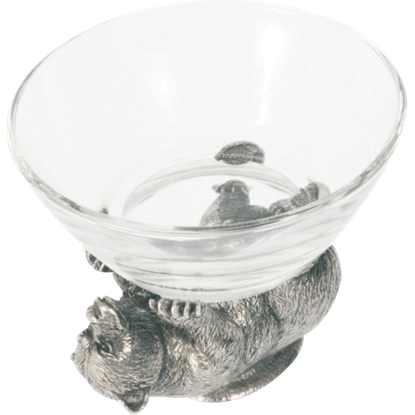 This delightful bear does a fine balancing act with the clear glass serving bowl of the Bear Sauce Bowl. Hand-finished to show delicate detail, this pure pewter bear figure is inspired by the playful American Black Bear. Food often rises to the level of an art form, so your servingware and tableware should maintain a similar level of style. 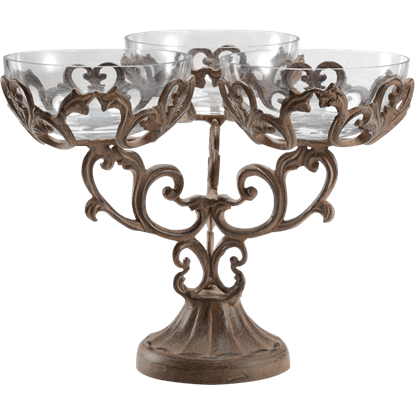 The Classic Glass Bowl Server provides a charming piece to hold snacks for a formal occasion. When presenting a dish to your guests, make sure that the quality of your servingware suits that of your food! 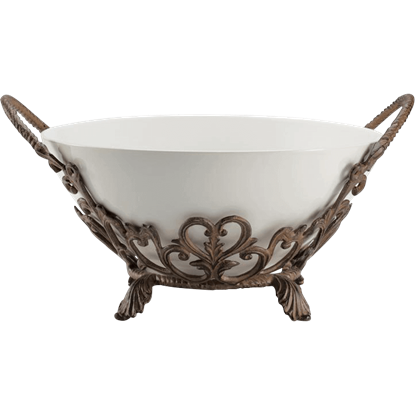 The Classic Serving Bowl features a large, white ceramic bowl that rests in an aluminum stand. When boarding a steam-vessel or submersible to cross the sea, you might spot one of these clever creatures if you are lucky. 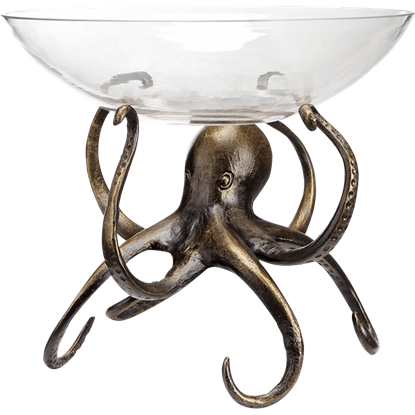 The Glass Octopus Bowl features an octopus that can give your home the perfect steampunk flair.